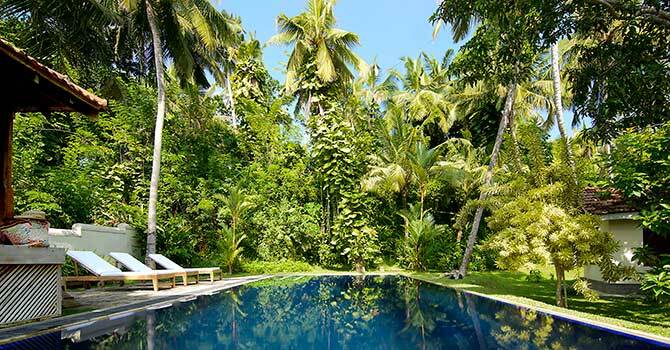 Coconut Grove is a tropically inspired villa in Ahangama, Sri Lanka. 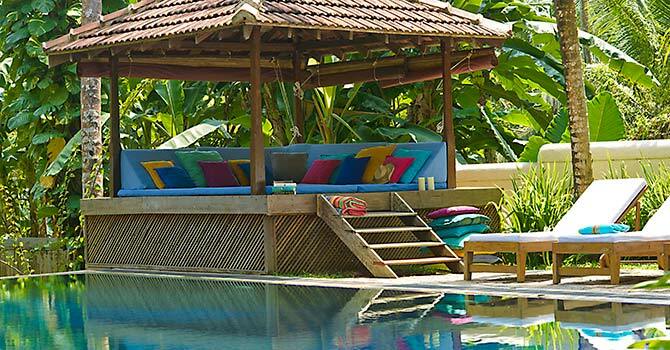 With four bedrooms the villa can sleep up to eight people. 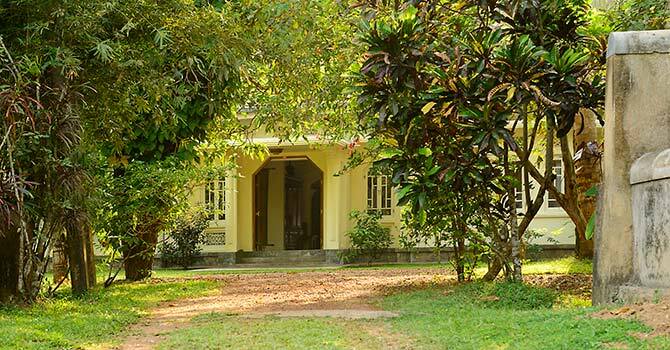 The villa is fully staffed, with a house-keeper and cook. The breezy villa is light and airy, with a comfortable sitting room complete with a television, iPod dock, and books and games to borrow. There is also a dining room with seating for eight, along with a second alfresco dining area as well. Outside, there is a dazzling swimming pool set amongst immaculate gardens, as well as a shady pool pavilion for retreating from the sun. 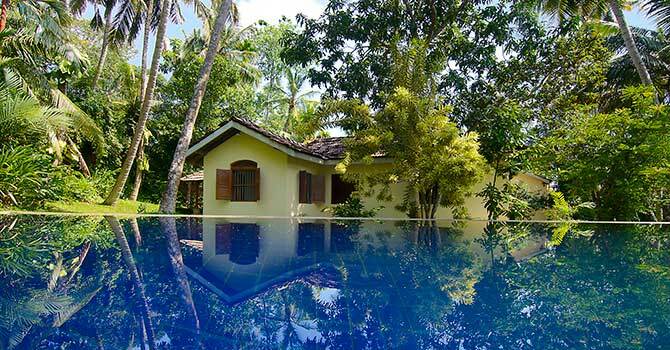 Coconut Grove is located in the peaceful village of Ahangama, within a short stroll of the beach. 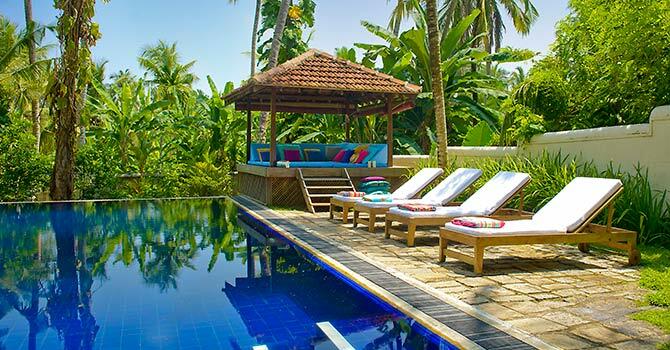 It is peaceful, with Galle just 30 minutes away with its great restaurants, cafes and shops. There are four King bedrooms in this lovely villa, each featuring a stylish four poster bed framed with chic white netting. Each bedroom includes its own ensuite bathroom with a comfortably large shower area and modern fixtures. Can't recall better holidays. The 3-hour drive from the airport is well worth the relaxation. Sea turtles just a 2-minute walk, all sorts of birds, squirrels, and lizards passing by to say hello in the garden, and sleeping to the sound of the sea. Endless fun in the private pool and on the beach. Out fishing with local fishermen is definitely an experience. Home service was perfect. The food's spice level adjusted to suit all residents. Can't imagine anything could be further done to make this any more perfect.